3M ESPE offers a full line of dental cements and accessories to meet your crown and bridge procedural needs. 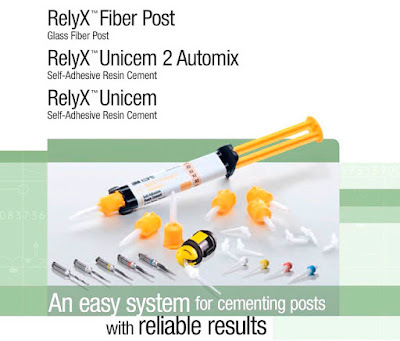 With resin, resin-modified glass ionomer, conventional glass ionomer, veneer and temporary cements, you can rely on 3M ESPE for innovative and easy-to-use dental cement products. 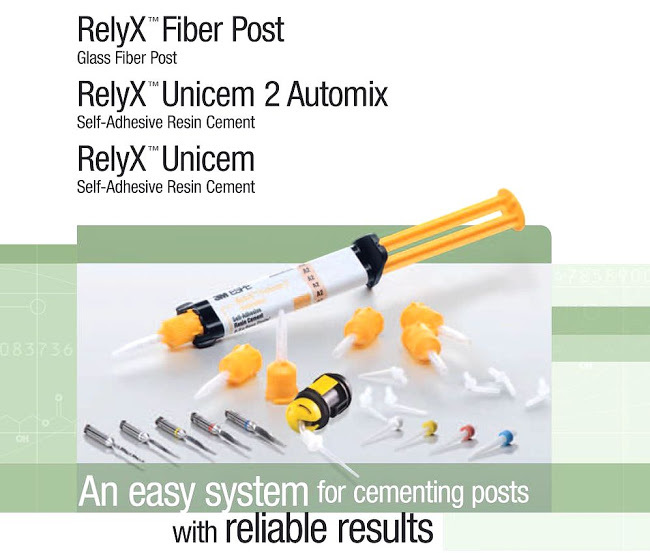 Cement: RelyX™ Unicem 2 Automix Self-Adhesive Resin Cement and RelyX™ Fiber Post Technique.